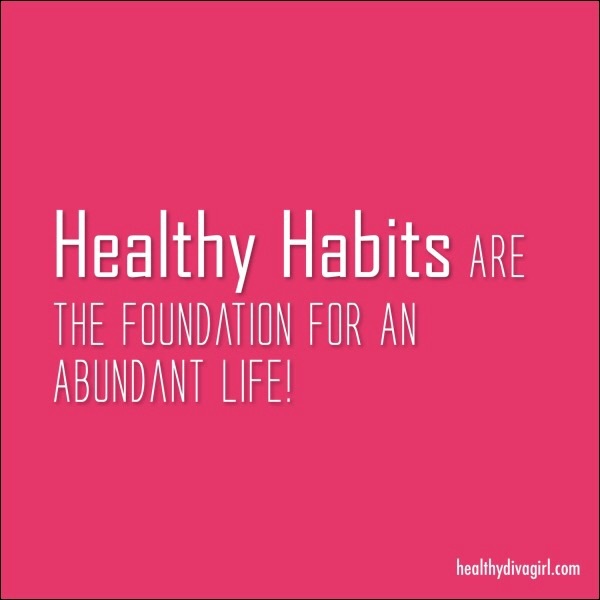 How to Create A Healthy Habit And Stick To It! Creating a healthy habit can be a tricky thing to start, never mind trying to commit to doing it long-term. That’s why I created the Healthy DivaGirl Healthy Habit Challenge back in January (maybe some of you participated on my Facebook Page http://facebook.com/healthydivagirl) and it was a great way to kick off the new year! Since we are now in the month of July, half way through the year and where does the time go ? It makes sense to do a 6 months check in and revisit what we may have started earlier in the year. What was your new years resolution in January and did you even make one? Well I’m here to tell you that is never too late to get back on track with something you fell off the wagon with or something you may have been in procrastination mode waiting for the perfect time to start. I’m going to get slightly honest here… There really is no perfect time to start and the best time to start and commit to a healthy habit is NOW!!! Nothing has to be perfect, the time, the circumstances or you. What really matters is that you make a decision and that the habit you want to create is something you really want in your life. Making this one decision will have a positive impact on your life and that is truly more important to you. 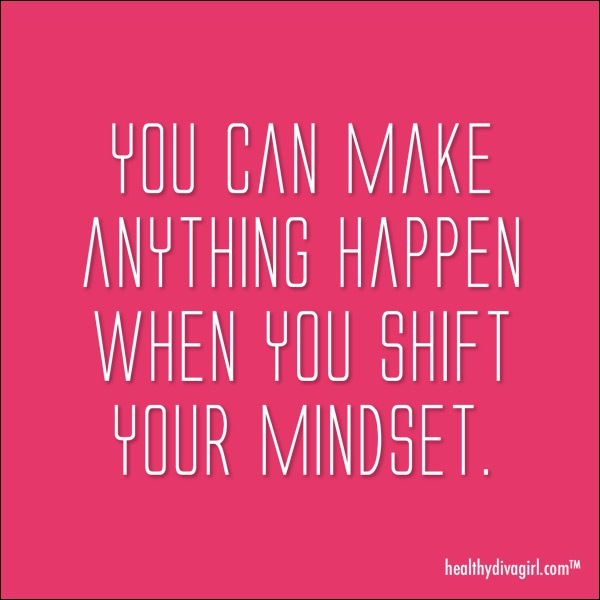 You need to believe this will mean more to you if you commit to make the changes, rather than stay stuck in the same place and just keep spinning your wheels time after time. Now I know making changes in your life can feel scary as hell, but change really isn’t the worst thing in the world. Embrace change so you can move forward and create a better life or situation. When you let go of things that don’t serve you like unhealthy food, too much sugar or maybe even alcohol or drugs, everything can change for you and new doors, situations and opportunities will be brought and opened up to you. That’s how the Universe works. If you are willing to show up for yourself and create positive changes the Universe will show up for you too! It’s amazing really!! So let’s get started on some helpful tips that have helped me start to create and stick to some healthy habits, shall we? My first step is get very clear about something you want to change in your life and what the solution would be. I will use myself as an example; I needed to lose 20 pounds. I did my research and decided on how I was going to make this happen and I chose to eliminate sugar in all forms from my diet. I also chose some daily supplements that would help my body with digestion, fat burning, etc. My second step is create a daily action plan so that you will be organized and stay on track with your new healthy habit. I highly recommend creating a daily journal to keep notes for your Grocery list, meal planning and to write down what you are actually eating and drinking every day. This again is just an example because my healthy habit has to do with eliminating sugar out of my diet and my goal is to lose 20 pounds. If your habit is something like quitting smoking, you can track that as well through an app or writing in a journal. Also just taking the time to write how you are feeling as you are moving through this process will help you. My third step is holding yourself accountable. So you made a commitment, you really want it and now it”s time to stick with it! Sounds easier said than done for most of us, right! This is when having an accountability partner or a coach perhaps will help you stay on track. I also recommend writing everything down such as a meal plan or diet, so that you can see where your challenges or setbacks are made and you can stay focused on moving towards your healthy habit. Now not every healthy habit you take on will just happen seamlessly or easily, so don’t beat yourself up if you happen to screw up that day. Just acknowledge it, Say to yourself, “I love and except myself and I am on my way to creating a healthy habit” and keep moving forward! My fourth step is stick with it! Statistics show that to actually create a healthy habit that sticks you must do it for a minimum of 21 days or more. Try doing 28 days and after that it should be smooth sailing. I can guarantee you whatever healthy habit you choose if you stick to it and take the time to implement these steps on a daily basis you will feel better and it will just become a part of your daily routine. Oh and by the way….. The healthy habit I’m currently working on (cutting all sugar out my diet) is going great! I am now on day 10, lost 10 pounds and I feel and look better already! Hope this article helps you on your journey to create more healthy habits in your life and you can always get more one on one guidance when you work with me privately to create a first class life you love with a healthy body and mind at http://healthydivagirl.com or email me at melissa@healthydivagirl.com.